PETITION: Stop the Georgia Coyote Killing Contest! PLEASE SIGN! Killing coyotes does not reduce their population over the long term. In fact, the number of coyotes will increase as competition for resources is reduced, so this killing spree is counterproductive. 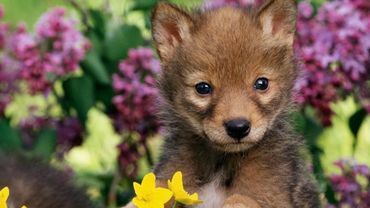 In addition, killing coyotes in March will mean the pups who were recently born will be left to slowly starve to death. This contest goes against the Georgia’s Department of Natural Resources' mission "to sustain, enhance, protect and conserve Georgia’s natural, historic and cultural resources…that utilize sound environmental practices”. Stop this killing contest immediately! Signed and noted. Thanks, Simone. Signed #3,270. Thank you Simone. Signed. Many thanks for sharing dear Simone. noted signed with comment shared - murder is not a contest!